Took the W500 out yesterday for the first time since I’ve gotten the W700. I Didn’t have the truck, so the Kia was it. It was a windy day, water temps still at 67 degrees. 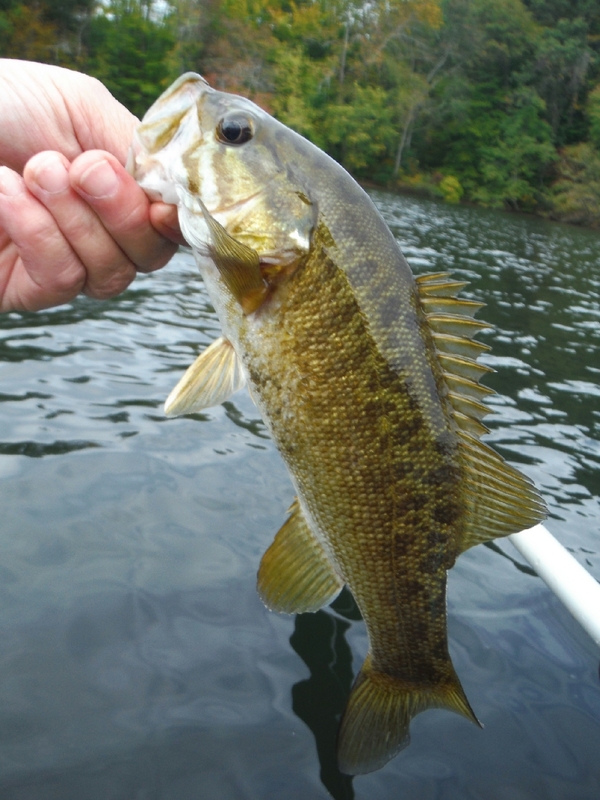 Lots of small fish, then a couple of good Large Mouths to save the day. I made a video, and you will laugh when you hear what happens. 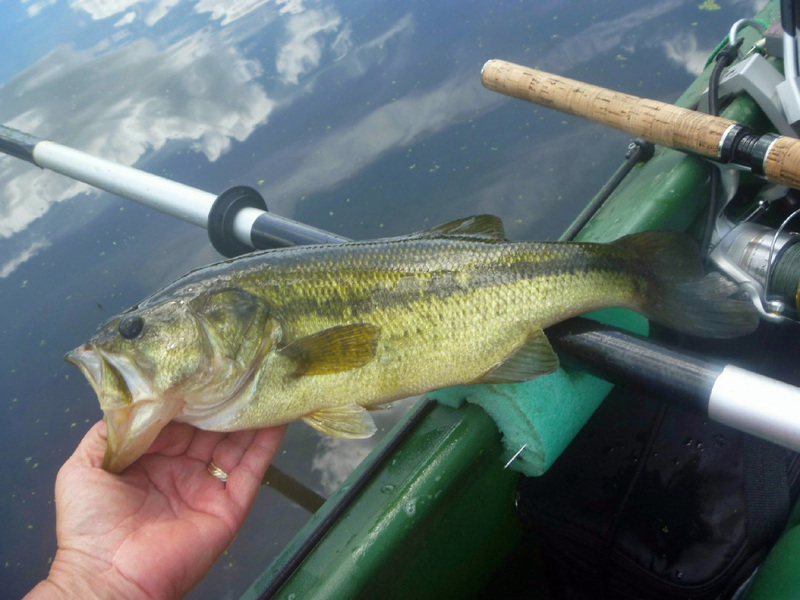 This just shows how a small motor can make a big difference in a fishing trip – No fish where you’re looking for them? No problem! 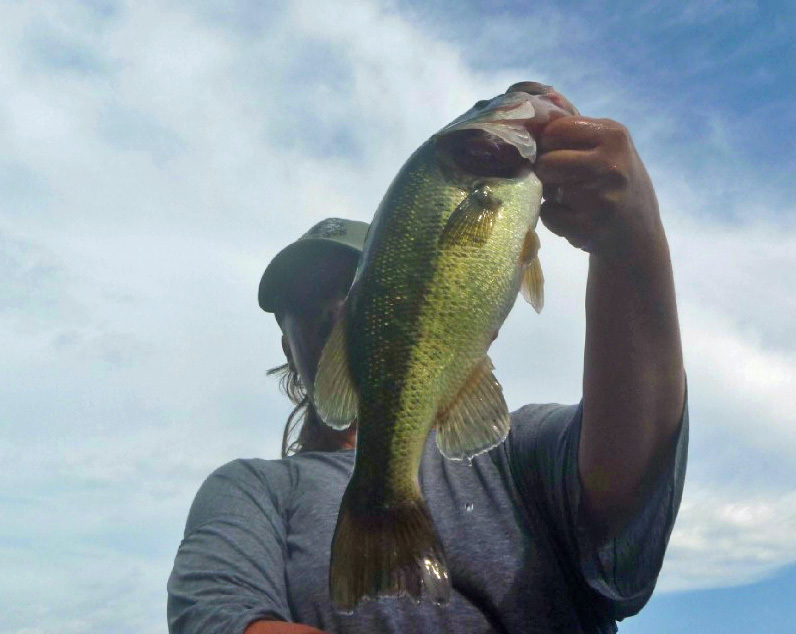 Instead of trying all the lures in your tackle box, you just start the motor and get to where the fish may be, and in this case they actually were. Good seeing you out on the water again, Rox, and thanks for the views of the Fall colors. We don’t get many of those down here in sunny Florida. They should really be popping more great colors soon. As you know, because of the lightest weight, the W500 is still the easiest current Wavewalk vessel to throw on top of a small car. My white W500 atop a Toyota Yaris has traveled up and down the East Coast multiple times and was chased by Irma across the State of Florida. And, the W500 is a fish catching machine with the right captain at the helm. Those are BIG @$$ B@$$!!! Thanks Larry, I do love that W500 she moves real good with that 2hp Yamaha. Got my sights on a 4hp Yamaha…time will tell. I’ve gotten quite a collection of small motors now. All in great running condition, I’ve gotten great deals. rock solid then the W500. I remember the first time I tested the W700 was somehow embarrassing for me, because jumping up and down in its cockpit didn’t yield much spray splashing around – The boat hardly reacted to all this fuss, and we had nothing interesting to show in a demo video.